Delicious Bologna Food Tours | What would Bologna be like without Mortadella?! Mortadella gained its IGP status in 1998, ensuring quality and protects both the consumer and the producer. 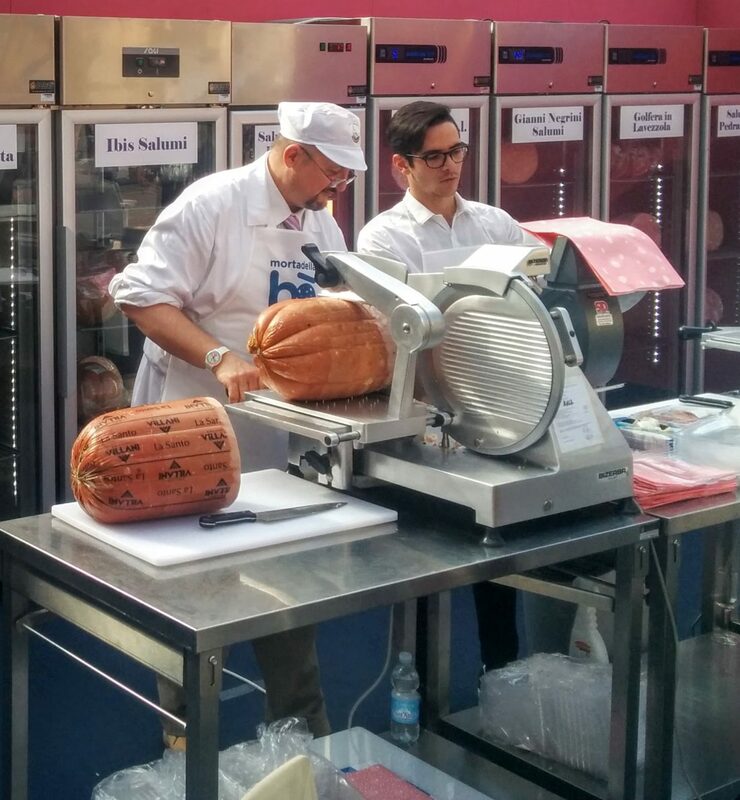 Yesterday, 20th October 2016 started the fourth edition of MortadellaBo, the event dedicated to Mortadella Bologna IGP. Until Sunday, Piazza Maggiore will be filled with stalls, kiosks and food bikes celebrating the queen of Bolognese cuisine. Mortadella gained its IGP status in 1998, ensuring quality and protects both the consumer and the producer. But Mortadella has been made for at least five hundred years, but may have origins in Roman times; proof of this is an ancient stele on display inside Bologna’s Museo Civico Archeologico showing a butcher using a mortar, the tool employed to press together the pork meat and spices to prepare mortadella. Thin slices enhance the unique aroma of the sausage, however, Mortadella can also be served in small diced cubes and many other ways. Go to MortadellaBo and taste it!